Silver Lakes is a highly sought after, up market, residential and golfing estate in Pretoria. The policy of planting only indigenous trees has been adopted together with creating nodes of natural foliage along the golf course itself. The land around the golf course has been restored to natural bushveld habitat with abundant wildlife. In addition the lakes were enlarged and others built and stocked with bass and many other species of fish making this one of the most sought after natural havens in South Africa. The golf course is unquestionably a championship layout with no shortage of water having been designed by Peter Matkovich and trade marked with his exclusive water design. The manicured practice facilities offer a generous tee area, chipping green, practice bunker and target greens. A 1200sqm USGA spec putting green, adjacent to the lake surrounding the 9th and 18th greens. A large variety of water birds are nesting on the magnificent lakes and rare bird species like the African Spoonbills, Purple Gallinules and the magnificent Fish Eagle are also found on the estate. The clubhouse offers the following facilities: catering for functions, a restaurant, conference facilities, two tennis courts, two squash courts, driving range, putting green, chipping facility, locker rooms, bar and half way house, pool a well stocked pro shop and excellent change rooms. 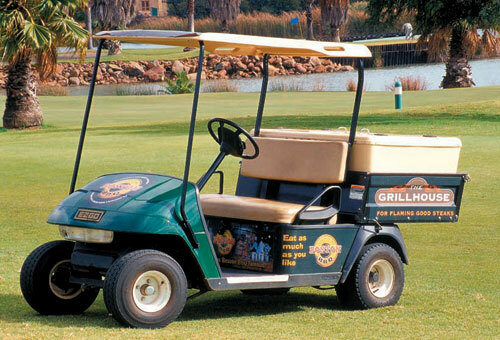 Golf carts and club hire is also available from the Pro Shop. We hope your game of golf is most enjoyable and the ‘golfing gods’ are smiling down on you. In an effort to maintain harmony and good discipline, may we remind you of the following. * Any match that cannot maintain the pace of a following match is obligated to let faster match play through. Every effort should be made to speed up the pace of play generally. * The use of sand bags is compulsory. Please fill your divot - you may lie in it tomorrow. * Please remember to repair pitch marks and rake bunkers – it’s the right thing to do. * Carts must follow signs as indicated on the course. Fees payable for non members and non affiliated members - prices available on request. All prices available on request and subject to change. Driving range, Putting green, Chipping facility. Locker Rooms, Bar and Half way house. The magnificent architecture and surroundings of the Silver Lakes Country Club clubhouse is the reason that so many weddings happen here. We proudly boast a dedicated and professional team that will cater for your every FUNCTION be it a wedding, luncheon, special dinner or a themed party. Our Chef and Function Co-coordinator will assist you with designing of special menus and organize your function from start to finish. Silver Lakes Country Club on 012-809-0281.